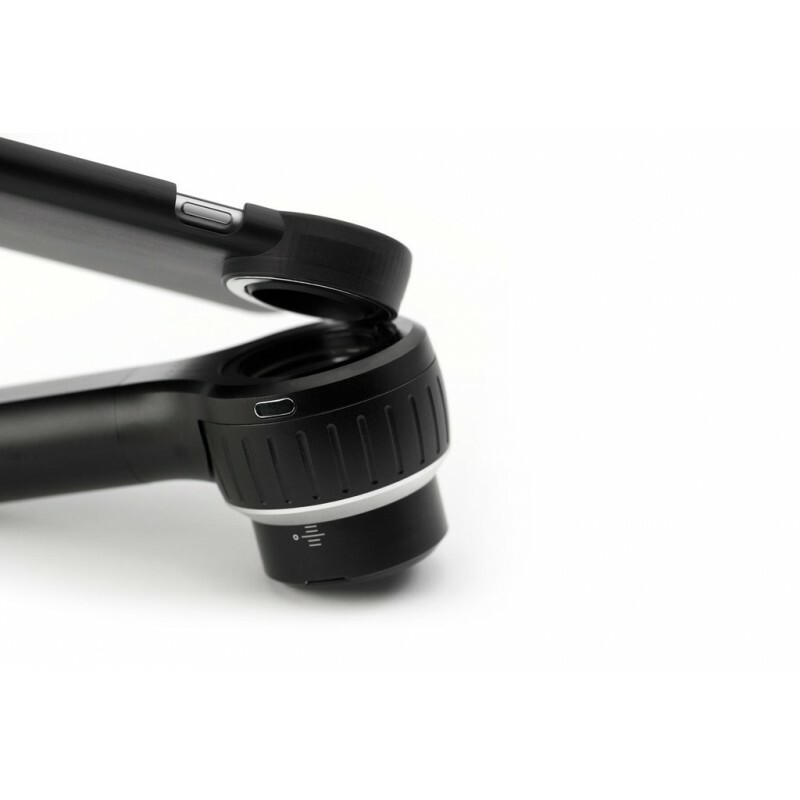 Dermlite DL4W dermatoscope is the natural successor of Dermlite DL3 on the dermatoscopy market. 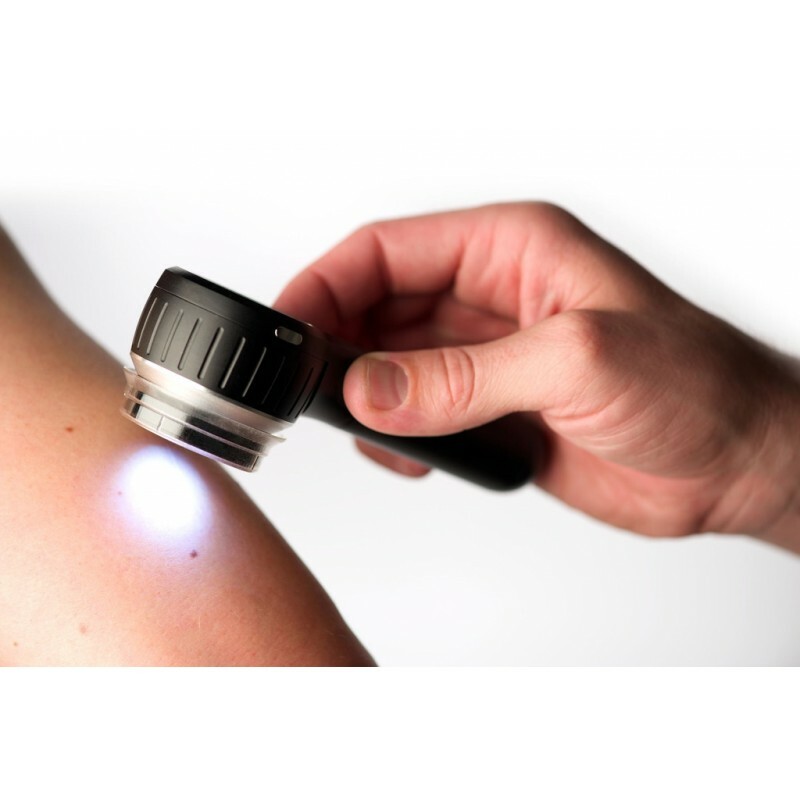 Dermlite DL4W dermatoscope is the natural successor of Dermlite DL3 on the dermatoscopy market. Magnetic connections with smartphones and tablets, broader view with two levels of brightness. 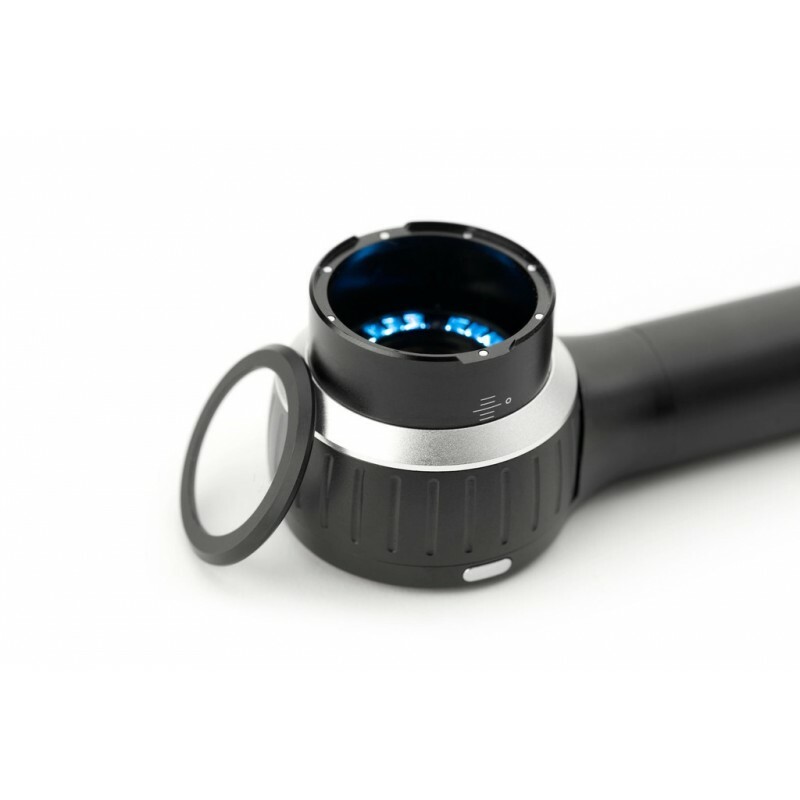 The superior dermatoscope on the market. 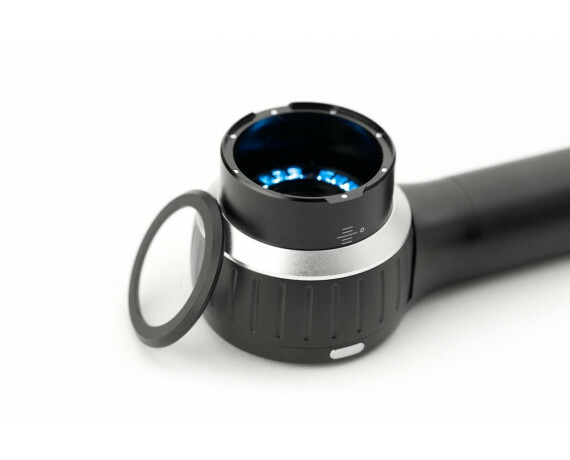 The dermatoscope DermLite DL4W, has been designed from scratch to be more refined in every detail. 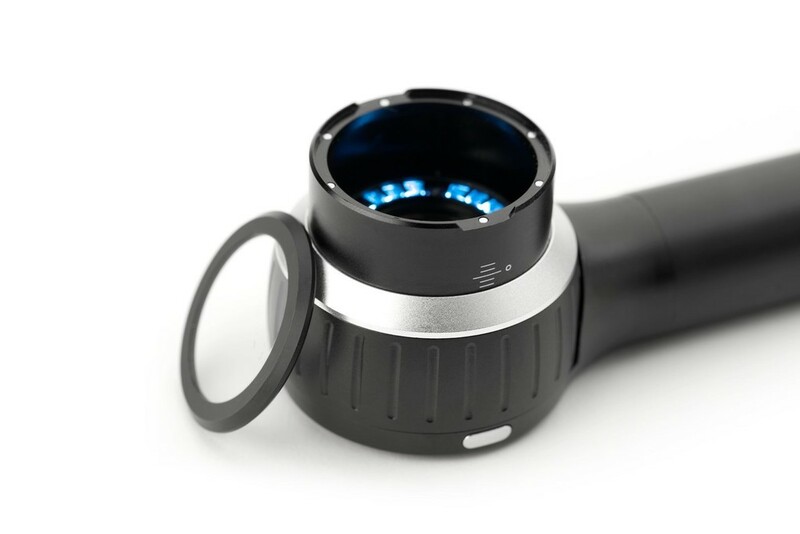 An all-aluminum design incredibly smooth, ergonomically optimized to fit comfortably in your hand, DermLite DL4 offers a phenomenal versatility and the largest optical DermLite any pocket, with on and off instantly at hand. 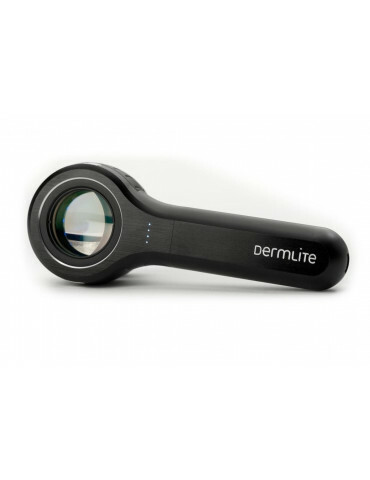 Built on the design of its predecessor DL3's proven polarized and non-polarized light, the DL4W now offers two levels of brightness, a wider field of view lens with a 30mm instead of 25mm, all with a footprint 25% smaller than the previous generation. 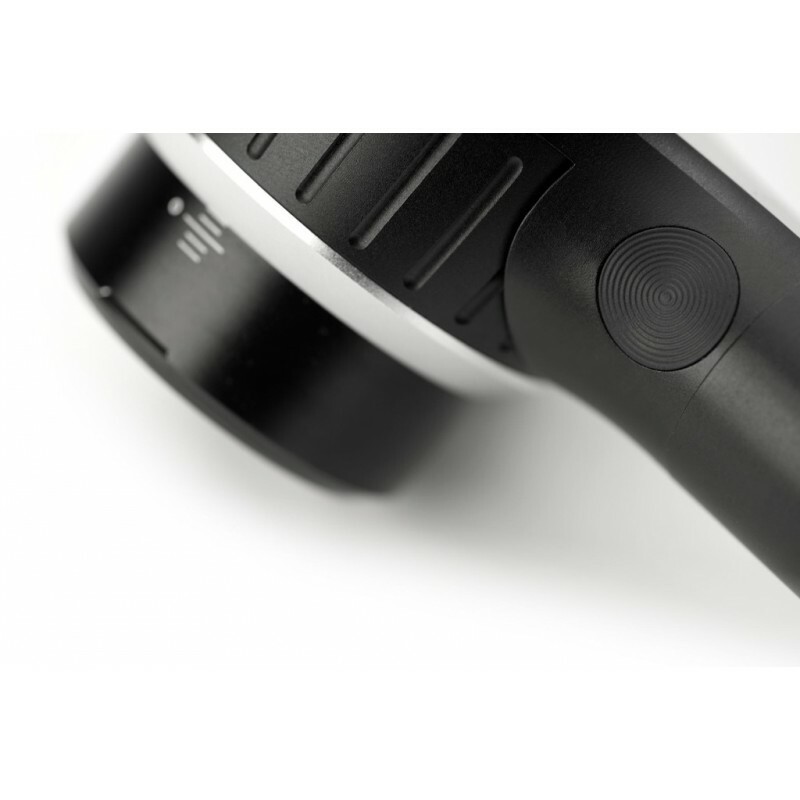 DL4W uses magnetic connectivity to ensure convenience and quick workflows. 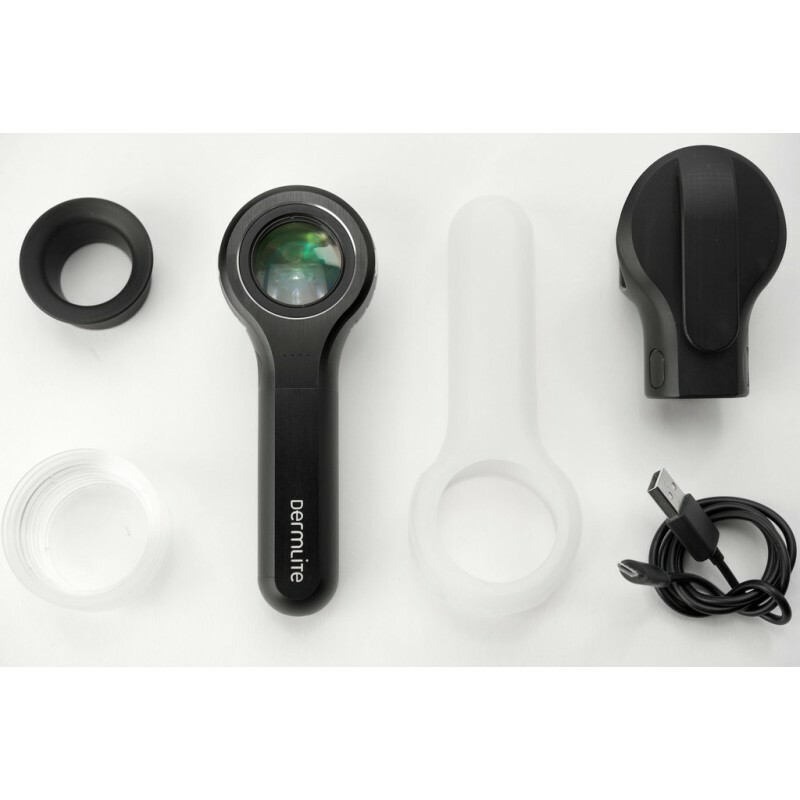 Both the front connection (with 10 mm grid) and the eye piece are magnetic, allowing quick connection to all devices like iPhone, iPad or Galaxy S series phones. Contact Infections hazard? You're safe. 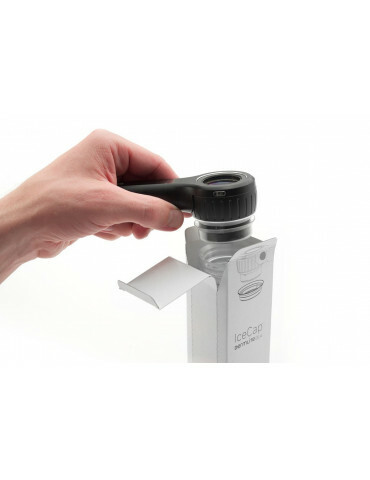 Along with the great growth of dermatoscopy examinations, infection control is an important aspect also in medical diagnostics as dermoscopy, where the same device is used for large a number of patients from which you can come across cases of skin infections transmissible by the contact of common surfaces. 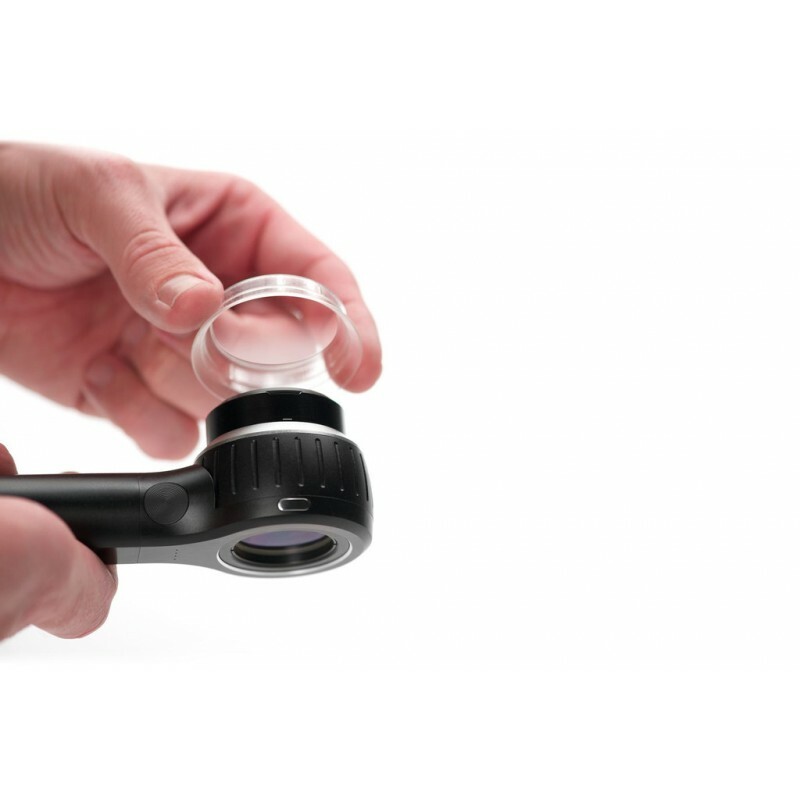 With the new system Icecap, Dermlite DL4W may help to reduce the risk of cross-infection among patients. 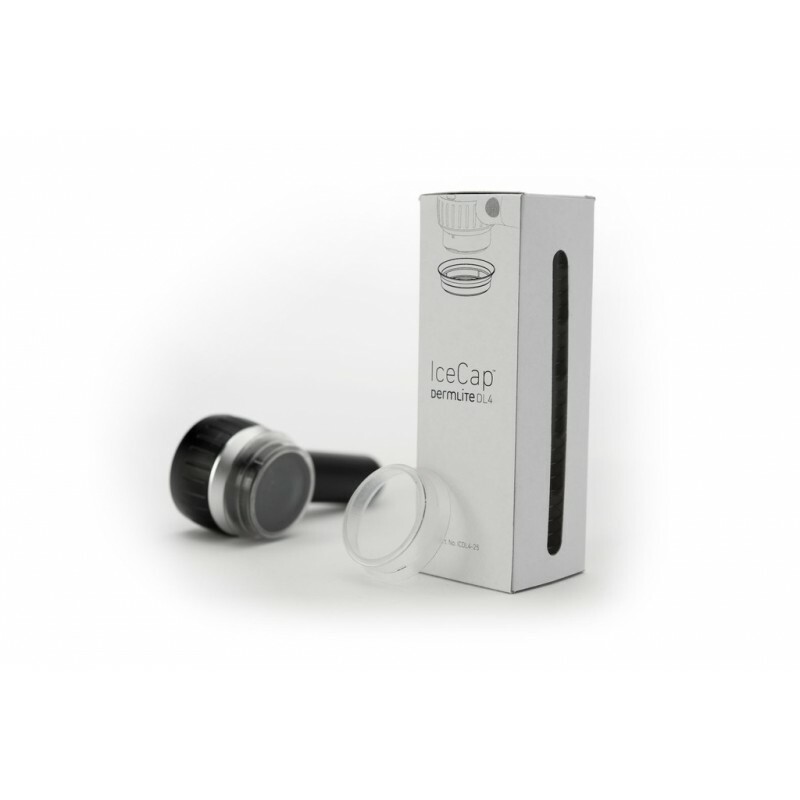 Icecap is a disposable cover mounted over the contact spacer present on Dermlite DL4W, which in some tests may come in contact with the skin. 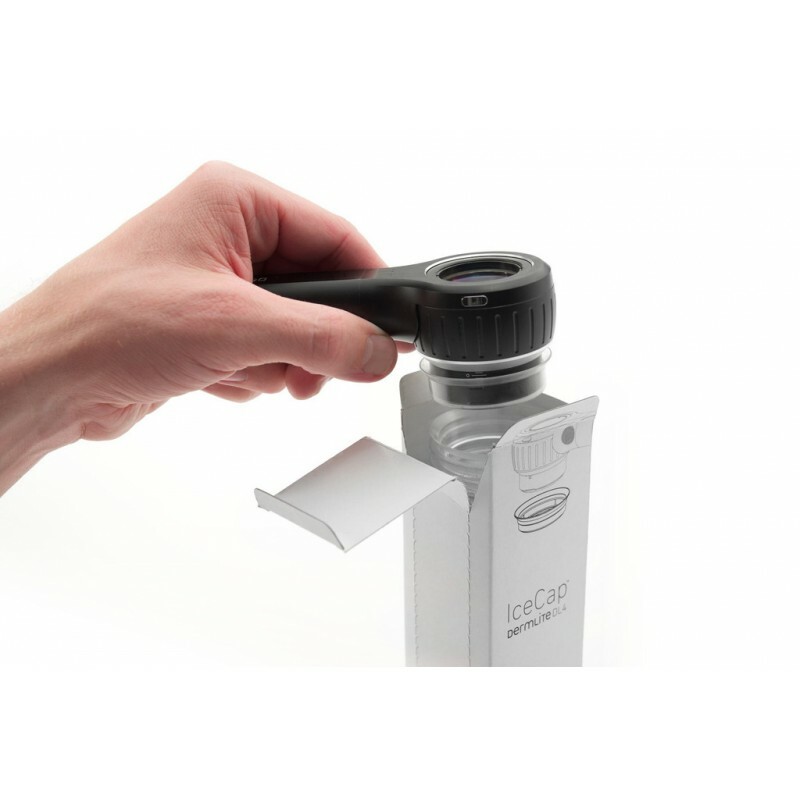 The retractable spacer allows contact and non-contact dermoscopy with a unmatched speed and precision of focus, even when used in contact with the skin. Observe the skin more deeply. 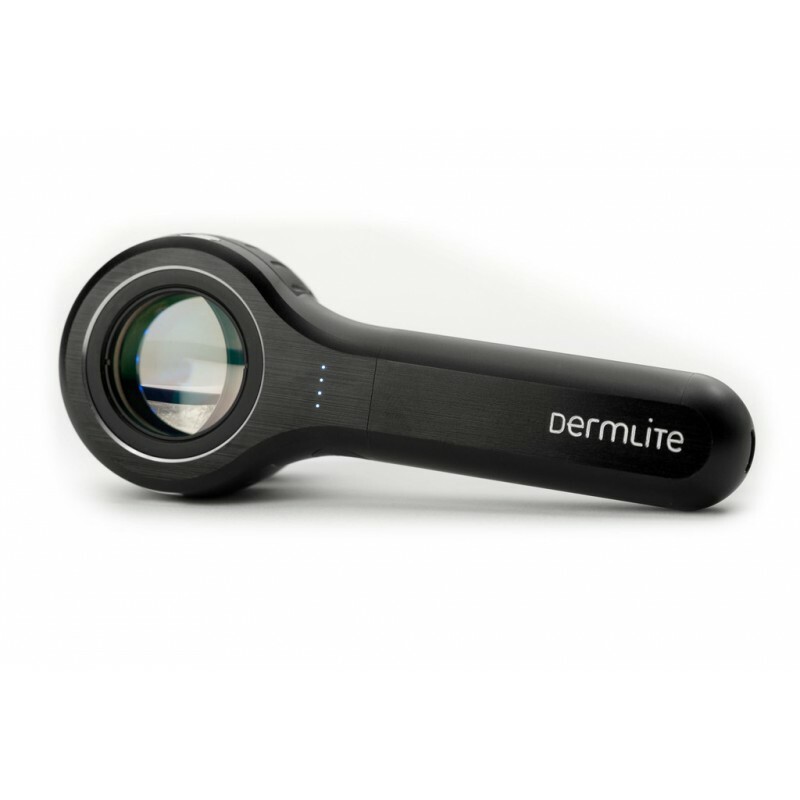 The new high brightness LEDs of Dermlite DL4W produce light in a very efficient way. 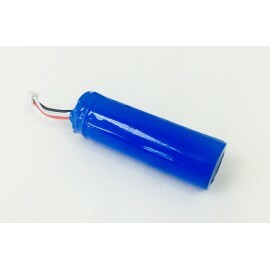 The new 4 phases battery level indicator make the remaining charge easily verifiable. 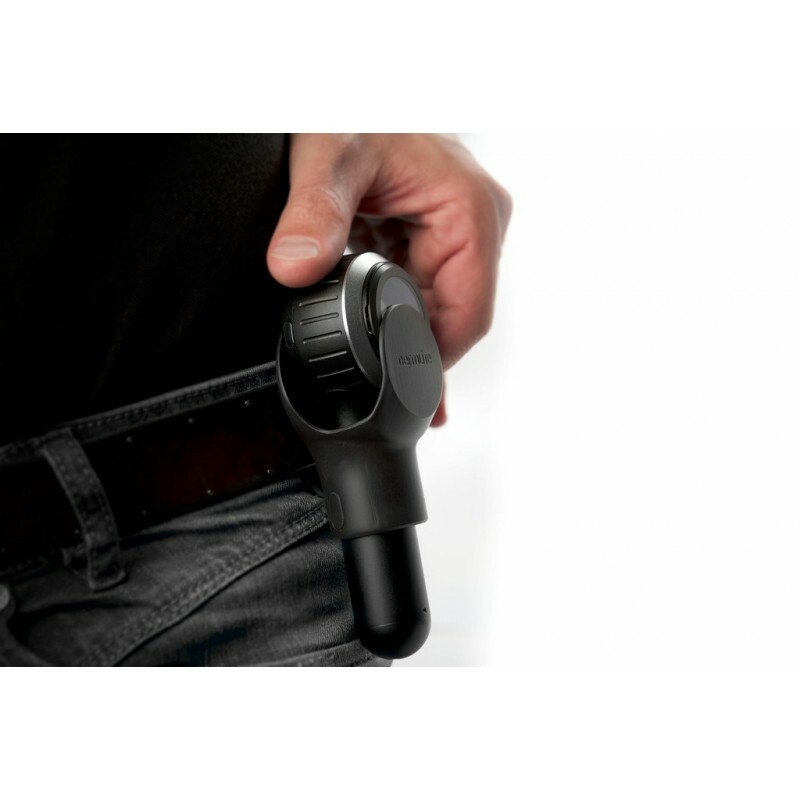 When the LED alerts you that it's time to recharge, you can use any standard USB outlet, with Micro-USB cable included with each Dermlite DL4W. 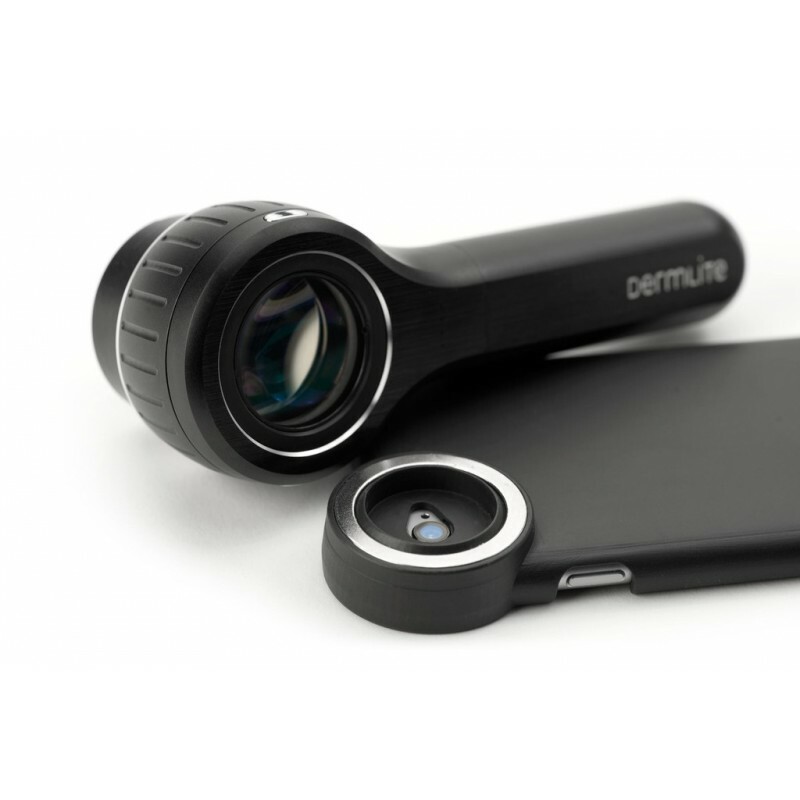 Each Dermlite DL4W includes a handy silicone case to protect your dermatoscope, one belt clip, one magnetic ocular and 5 IceCaps .